Ladoja is superior to Ajimobi in palace politics, the governor who hails from Oja’ba quarters in the ancient town of Ibadan, holds many honorary Chieftaincy titles that cannot lead him to becoming Olubadan. To the “uninitiated,” the recent upgrade of some chiefs to the status of monarchs in Ibadan was only an outcome of a review of the 1959 Chieftaincy Declaration of the capital of Oyo State. But analysts, who saw beyond the glamour of crowning, said the whole issue is about the political rivalry between incumbent governor Abiola Ajimobi and former governor Rashidi Ladoja and preparations for 2019 elections. The battle of who controls Oyo State politics, between Governor Abiola Ajimobi and former Governor Rashidi Ladoja was confined to the political turf with the expectation that the voting population would decide the fate of the two gladiators in the next round of elections without dragging the highly-revered traditional institution into the fray. The calculations however changed on August 27 with the review of the 1959 Olubadan declaration that allows the government to elevate all the eleven High Chiefs that constitute the Olubadan-in-council and ten locality chiefs or Baales, to be crowned as monarchs. Many watchers of events have seen the move as a ploy by government to retire Ladoja who is one of the High Chiefs and Osi Olubadan, the fourth in succession line to the throne, from active politics to clear the coast for the incumbent governor and his political party, the All Progressives Congress (APC) in the political battle ahead. 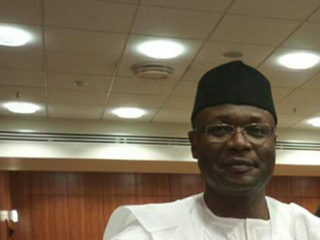 Of course, the former governor kicked against the elevation which he described as a “Greek gift” and deliberate plan to chase him from politics as accepting to be crowned as an Oba will automatically deprive him the benefit of the ongoing merging of Accord Party structure in Oyo State to that of the Peoples Democratic Party (PDP) that he said will produce a formidable opposition to the APC in the 2019 elections. The Social Democratic Party (SDP) and its governorship candidate in the last election, Engineer Seyi Makinde are said to be part of the alliance. Ajimobi and Ladoja had almost the same political history. Both had represented Oyo South Senatorial District at the Upper Chamber at one point or the other and while Ladoja served a term as governor under the PDP, Ajimobi recorded an unprecedented history of becoming the first politician to win governorship election twice in the state. Analysts are of the opinion that Ladoja’s ambition of squaring up with Ajimobi has been the major cause of the fierce political battle between the two “sons of the soil.” But while Ladoja is superior to Ajimobi in palace politics, the governor who hails from Oja’ba quarters in the ancient town of Ibadan, holds many honorary Chieftaincy titles that cannot lead him to becoming Olubadan. Besides, both of them are vast in the traditional and party politics of Ibadan and that of Oyo State which makes the intrigues and scheming deeper than what the uninitiated could understand. Seen by many as a master stroke and a last joker by Ajimobi to checkmate Ladoja and end the rivalry between the duo, the elevation of the traditional tittle of Osi Olubadan amongst others to a crown-wearing monarch, would effectively restrict the former governor to the palace and subservient to the governor of the day. Though Ladoja has the backing of the Olubadan, Oba Saliu Adetunji and some Mogajis (family heads) that rejected the new order, Ajimobi is a step ahead with massive supports from the ten out eleven members of Olubadan-in-council, Ibadan elders, members of Central Council of Ibadan Indigenes (CCII) and a cross section of elites in the state who believe that the traditional institution is due for a review. As soon as Ajimobi inaugurated the Justice Akintunde Boade panel that reviewed the Olubadan declaration, Ladoja cried out that he was the target of the governor and went to an Ibadan High Court to stop the panel from sitting. The former governor had argued that the state government had no power to review 1959 Ibadan Chieftaincy declaration, which he noted was different from that of the 1957 Chieftaincy laws that regulate the relationship between and among Obas in the state. 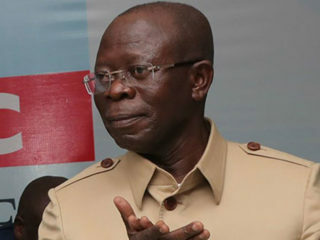 The 1957 Chieftaincy laws, he noted, allow the state governor to dabble into who becomes the chairman of council of Obas in the state and other matters but that of the 1959 Olubadan declaration, which he accused the government of tinkering with, is purely an Ibadan local affair domiciled with the Olubadan and Olubadan-in-council. He said he was ready to pursue the matter and ensure that the 21 monarchs that received their crowns from the governor ceased to wear them and revert to their old status, which many of them have rejected. According to him, “It is not the responsibility of government but that of Ibadan people to tamper with the 1959 declaration. They tried to mislead the people that it was 1957 declaration but they have now realized that it was in 1959. It is only Ibadan people who can change their laws when they think it is necessary. We don’t have Olubadan of Oyo State but we have Olubadan of Ibadanland. Why should you bring somebody from Ibarapa, Oyo, Ogbomoso and Oke Ogun to come and review the declaration? We told them. Everything that is being done pertains to the declaration that concerns Ibadan people. “People continue to ask the question why the mockery of obaship in Ibadanland, is it the most important thing to Ajimobi of all the challenges facing his government. It is now clear that Ajimobi has found in this futile exercise, a distraction from his six years of misgovernment in the state. “Ajimobi is using temporary executive power for ego trip and feels that he is humiliating perceived enemies and also playing God. Why should the governor turn himself into a kingmaker, ignoring the long-established peaceful, self-reforming chieftaincy system of Ibadanland that has become the envy of many cities because it is rancour-free? 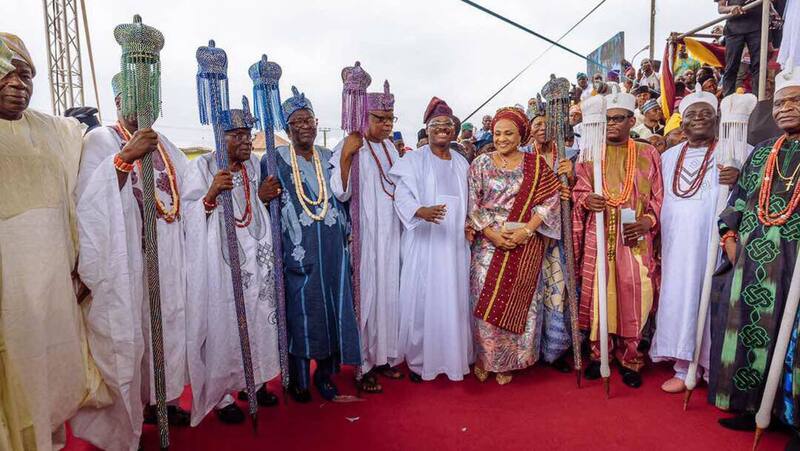 The Osi Olubadan however, appealed to the people of to remain calm and peaceful, even in the face of provocation, saying peaceful and legal means will be used to reclaim the glory of the traditional institution of the ancient town. Ladoja also expressed surprise at the hasty nature that the coronation and presentation of letters and staffs of office were done. “Why did they start it after work on Friday and ended it on Sunday? They distributed letters under flood light on Friday. What they have done to me is just a theatrical display and I don’t attach any importance to it,” he said. He said he sees no reason why High Chiefs in Ibadan who are also kingmakers will become obas and members of the Oyomesi, the traditional council in Oyo town, will not become Obas. He said it is not only Ibadan or Oyo only he’s tampering with, he is going throughout the state. The former governor who denied setting up any commission to review Olubadan declaration said, “It is not true. I said it many times that I did not set up any Adio commission. I did not see it as a priority at that time. What I saw then was the improvement of education. I think the institution of obaship is so complex and it is better to leave it and face other things. In the case of Ibadan, there was no rancour. I still emphasise it that I did not set up any commission. I don’t know any Adio. 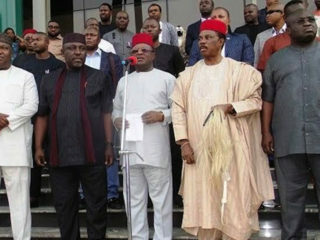 It is either the governor is being misled or the governor decided to be a liar himself. Is Adio alive, if he’s alive, they should go and ask him. He should tell me the date where and when they were sworn in. But Ajimobi has denied the allegation that the declaration was reviewed to prevent Ladoja from becoming Olubadan. The governor said he has no power to prevent Ladoja from becoming Olubadan if God has destined it. According to him, “I am sure people will still thank me in the future because I am doing good for Ibadan and the state. I am not interested in becoming the Olubadan and I will not be; it is only the person destined by God that would become Olubadan. It is God who ordains an Olubadan. “Tell my elder brother, Senator Rashidi Ladoja, who is saying it is because of him that we reviewed the Olubadan chieftaincy laws so that he would not become the Olubadan. God will let him be an Olubadan, if he is destined to be. Ajimobi also debunked the insinuations that the review has distorted the kingship system in Ibadan. Quoting a famous author, Henry James, who once said, “A tradition is kept alive only by something being added to it,” the governor said, “I wish to state categorically that we are not changing history; we are not changing tradition; we are not changing the culture of Ibadan. The governor explained that the review of the 1959 declaration was not a novel idea, having been carried out by successive administrations in the state in 1974, 1981, 1993 and 2000.